There is one word that aptly describes the modern console table and that is ‘versatile’. You are perhaps looking for a furniture piece that will perform the function of displaying your best pottery, sculpture or table lamps whilst at the same time adding a stylish addition to the overall interior design of the room in which the console table is placed. If so, this modern narrow console table made from a mixture of wood, metal and glass is an ideal and versatile furniture piece to consider. 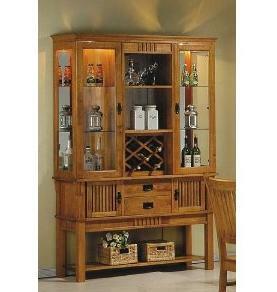 The narrow console table is two-tiered and is identical on either side. This means it can be placed in a variety of locations, whether up against a wall or as a central furniture item in the middle of a room. Long and narrow console tables like this one are ideal for splitting up a large space into two smaller areas, in other words, as a room divider. On the top tier of this modern narrow console table is tempered glass whilst at second lower tier is made from sturdy oak veneer. Two steel bases provide a very solid framework allowing multiple objects to be placed on the shelves. The position one places a modern narrow console table like this one is dependant to a large extent on the function intended for this versatile furniture piece. I’ve noted when visiting other people’s homes that many place console tables in the hallway. This makes good use of a narrow console table’s functional qualities that allow items to be placed down with ease when entering or leaving the home. For example, one can put keys, mail, handbags, gloves and other similar items we often have in our hands, down upon the console table quickly and without fuss. Another common location for a piece of furniture like this modern narrow console table is behind a sofa in the living room or home study. The console table in this case provides an attractive backdrop to the seating area as well as another staging location for decorative items one likes to show. In larger rooms, this is an effective filler for when the sofa needs to be closer to a fireplace or television. Most rooms in the home will benefit in some way to the addition of this stylish and modern narrow console table made from wood, metal and glass. 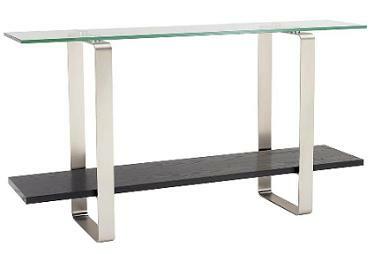 It’s priced at $509 and can be purchased here: Modern Narrow Console Table. Serving trolley carts have long been a regular feature in kitchens and dining rooms across the nation. Due to their ease of manoeuvrability and handy design concept, they have been employed for their storage potential as well as their easy serving capabilities. 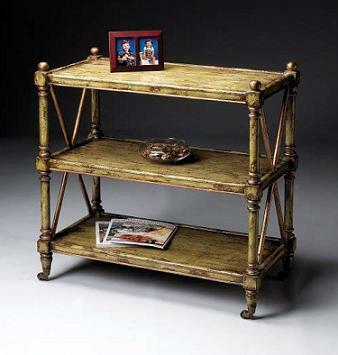 The wooden serving trolley cart shelf unit seen in the picture below is a form of serving cart that has been adapted to act as a display furniture piece in itself. 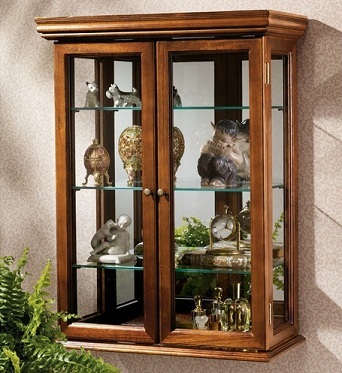 It’s aged moss green finish gives it an attractive quality that will match many types of interior décor. There are a variety of uses for a wooden trolley cart shelf unit like this one. It can be placed in a living room to act as a television stand whilst on the lower shelves things like video boxes and DVD recorders can be located. The wooden trolley cart shelves can also be used for purely decorative items such as decorated vases, picture frames, sculptures and indoor plants. In the living room interior, as seen in the image above, the shelves can also act as temporary storage space for magazines and books. Placed next to a sofa or in the center of the room, this wooden serving trolley cart with 3 shelves will become part of the regular furniture. However, unlike most shelving units, this one has wheels at the base which means it can be easily moved from one part of the room to another and even from living room to dining room or from one bedroom to another. This means it can be used as a serving shelf unit for breakfast in bed if you have your bedroom and kitchen on the same level. It’s been given an aged look and the moss green finish really makes this wooden serving trolley cart shelf unit look attractive. With most traditional interior decor themes, this trolley shelf cart will be a welcome addition and also a very handy storage, display and serving feature. You can buy this cart from this location: Wooden Serving Trolley Cart Shelves.